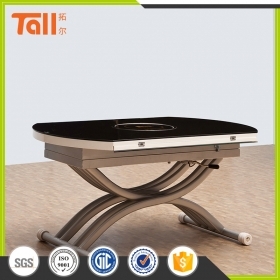 The adjustable lifting table is convenient to control the height, using durable and high quality material, which lets you feel a upscale style of it. The lifting table is one of saving sapce and creative table for change the height of life table in your request. This must be a good option for your room and wise choose for yourself. There are diversified selects for you. Click it then elect the genre you are satisfied with.